Do you want to discover how Cleopatra, the famous Egyptian queen succeeded to manage stress and stress symptoms? She was not just one of the most beautiful women in the world, but also one of the most powerful ones. Find out what was her secret by reading this book. You will also find out many interesting things that helped, for example, Alexander The Great, Coco Chanel and many other famous inspirational leaders. The most interesting thing is that their approach and strategies can be applied to us today. History has so much to offer to those who are open to learning from it. Besides inspirations from historical leaders, this guide will show you how to fight stress on a practical, easy and relatively fast way. You will learn how to strengthen: * your mental health and stress resistance; * self-confidence; * self-control in stressful moments. Christine Powell Gomez (AKA- CG Powell) started writing in 2011, after much consideration, she decided that indie pubbing was the direction for her. Since then she has never looked back, Christine has written books and short stories in the paranormal, science fiction, fantasy, and erotica genres all with a twist of romance. Before self-publishing, she worked a plethora of jobs that only enforce her love of the written word such as: her adventures in the Navy, working for the USDA in the sugar cane fields of south Louisiana, Cisco Networking (CCNA), working for the French Air Force as a technical advisor on electronic parts and becoming a (GIA) Gemologist. Christine has taken her vast knowledge and insatiable appetite for learning and applied it to the stories she writes. In 2012 Christine opened The Book Swag Shop, which caters to indie authors looking for unique swag items for their fans. This venture has helped her to understand branding, time management (still working on this one), and business management. It has also enabled her to meet other authors outside her usual circles. Description: " In the forest near their town, 10-year-old Lee and his friends encounter a supernatural evil. When adults prove to be no help, Lee takes it upon himself to destroy it. But Lee has his own monster to confront at home, a monster that may even be more sinister than the mystery that awaits in the woods. " 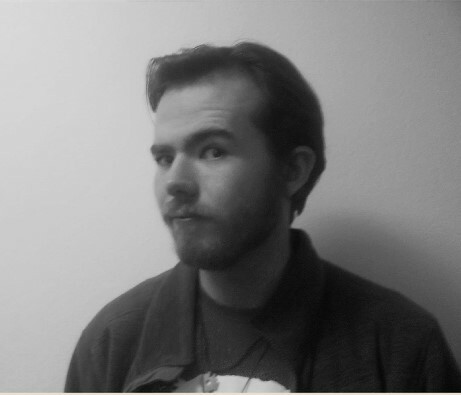 Author bio: " Henry Sebastien Bender is an undergraduate student at the University of New Mexico in Albuquerque, New Mexico studying theatre and foreign languages. His focuses in playwriting include surrealist and absurdist theatre. Selections of Mr. Bender’s were chosen in 2015 to be preformed during the annual 10-Minute Play Festival, “Out of Order”, by SCRAP Productions at the University of New Mexico. " 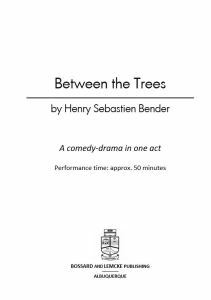 This is a theater play, It's about Lee and his friends, they are in the woods, but see something strange that scares them. They promise each other to be back and fight it, in meantime, Lee is fighting his own demons at home. Lee asks help from monster hunters, but they aren't much help, seems the kids have to do it all alone. Seems like a fun play. the script tells you all that you need for decor and lights. I could actually see the play before me while reading. Maybe one day I can see it as a play. What could make seven contemporary romance shorts by award-winning and best-selling authors even better? Add seven sweet, scene-stealing pets . . . and then make the whole project a benefit for animal rescue charities! That's just what we've done. LOVE PAWS features short stories with a little bit of steam, a little of sweet and happy endings all around. Each story also includes a pet, just to give the romance a little boost. This anthology releases April 18th, in celebration of Prevention of Cruelty to Animals Month. You can preorder your copy today exclusively through iBooks. Not long after moving to London, yoga and writing graced my life. I think they both saved me. On the writing front the spark came after reading the book, Catcher in the Rye. I’d not had the opportunity to study much as a child but that didn’t matter now as this book blew me away. “If you really want to hear about it, the first thing you’ll probably want to know is where I was born, and what my lousy childhood was like, and how my parents were occupied and all before they had me, and all that David Copperfield kind of c—p, but I don’t feel like going into it, if you want to know the truth.” J.D Salinger As for yoga, another book in the form of a second-hand yoga book written back in the 1960’s made its way into my mitts via a second-hand bookstore. As I’d said earlier, to start with I wasn’t very good at either. Dyslexia and lack of flexibility and poor posture were my obstacles. I could see beyond that though as both yoga and writing offered me hope and possibilities that before this I hadn’t ever thought possible. Before yoga and writing I believed I was useless and had nothing to offer the world. So I worked hard at studying for more than a decade. The author John Harding was the first teacher to believe in me. After studying writing under his inspiring tuition, I even managed to get a few novels published along the way. On the yoga side, I studied both Hatha and later Kundalini yoga and despite not being naturally flexible nor a person who liked to sit still. It was in India back in 2004 that I had my first awakening experience. During all this time, I also managed over the years to work my way up from an office junior job to a finally a supervisor position, having worked for most of my life in a string of unfulfilling office jobs. The good news that in October 2015 I left office work to become The Word Sprite full time! The silver lining in all of this is through my personal experience of having to be creative with my time I came up with the concept of yoga and holistic solutions for modern day living. Hence, this is how The Word Sprite was born! Read Janey's awesome article How to Manifest Real, Lasting Love on MindBodyGreen.